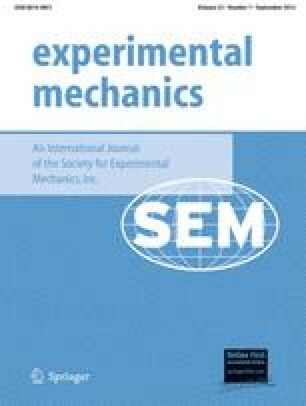 An investigation is presented on the suitability and accuracy of a thermoelastic technique for the analysis of fatigue cracks. The stress intensity factor ranges ΔK I and ΔK II are determined from thermoelastic data recorded from around the tip of a sharp slot in a steel specimen under biaxial load, in order to assess the accuracy of the technique. ΔK I and ΔK II are determined to within 4% and 9% of a theoretical prediction, respectively. The results from a similar test on a fatigue crack under biaxial load are also presented. These show that thermoelastic stress analysis is a rapid and accurate way of analyzing mixed-mode fatigue cracks. A discussion is given on the potential of thermoelastic stress analysis of propagating cracks.